According to industry research by the American Society of Plastic Surgeons, Botox® for men has quadrupled in the past year alone and they estimate that nearly 10% of all Botox treatments are being sought after by men. There’s even a term for it… Brotox. Why the sudden upturn? In today’s visually-focused, social environment is it any wonder that men are turning to non-invasive cosmetic surgery options to look their best? The pressure to put forth the best view of yourself and your life is ever present; however, Botox is about so much more than smoothing out fine lines and wrinkles. 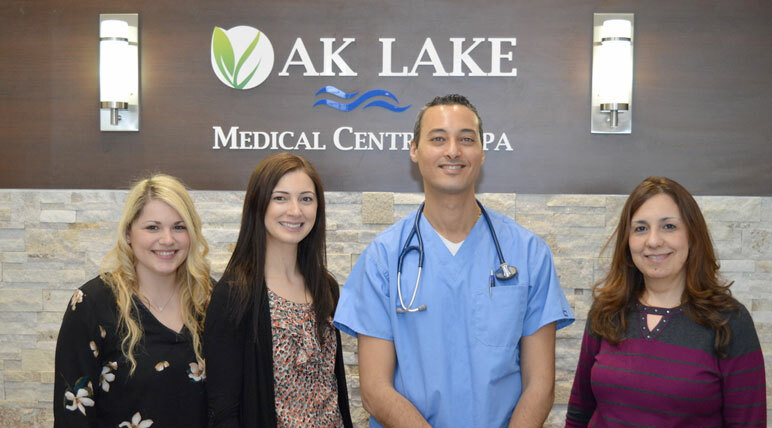 Before any client receives treatment, our expert team at Oak Lake Medical Centre & Spa conducts a thorough analysis and health history to help balance expectations with achievable results and direct clients toward the procedure that makes the most sense for them. While Botox isn’t a lifelong commitment, we strive to ensure our clients are doing what’s right for their physical and emotional health. When talking with our male clients, we have come to understand the main driving forces behind this sudden trend to Botox here at our Oakville clinic. Botox offers a non-surgical approach to treating and reducing wrinkles and facial lines. Men who would like to look younger without the expense, discomfort or recovery time of surgery can rejuvenate their look easily. Many of our professional clients report that a younger, more exuberant look gives them the confidence to compete with their younger counterparts. Some, who are closer to retirement age, say that the younger look allows them to remain in the job that they love for longer periods of time. While still a relatively new treatment, recent studies showed that those suffering from frequent migraines, noted a reduction in pain following Botox injections. Doctors believe that Botox works for migraine headaches because it blocks chemicals (called neurotransmitters) before they get to the nerve endings around the head and neck, ultimately blocking out the pain. Heavy sweating (hyperhidrosis) is a struggle for millions of men and women around the world and most have just learned to live with the embarrassment it can bring. Our Oakville team has a solution with proven results. Botox inhibits the nerve signals that control sweating and when these signals are no longer sent to the brain, or they are inhibited, they do not cause excessive sweating. The benefits of Botox treatment for men are undeniable. At Oak Lake Med Spa, we administer high quality Botox treatments for both men and women. If you are looking for more information about treatment, we recommend that you continue browsing through our website or schedule a consultation with us today! We can be reached at 289-837-4747 or by completing the form below. We look forward to connecting with you!